June 14 is World Blood Donor Day. Around the globe people who give blood are being recognised for their help in keeping up blood supplies for those in need. Health officials in Russia say the number of donors in the country has increased this year, but they still need more people to come forward. Public Health and Social Development Minister, Tatyana Golikova, has announced that Russia now has 13 to 14.5 donors per 1,000 people. That is about 10 per cent more than in 2007. However, that is still not enough. Medical professionals say the country needs between 25 and 30 per 1,000 people to donate blood regularly. 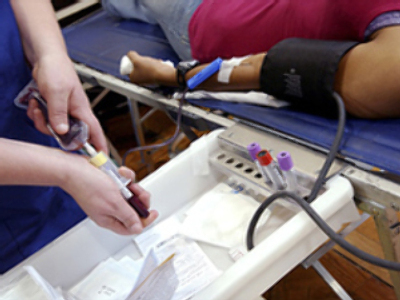 The Government is pursuing a number of initiatives to boost blood donation across the country. Golikova says a draft bill aimed at increasing donorship in Russia in 2008-2010 is already under discussion. In addition, the existing blood donor programme has been given more than $US 676 million to continue its work. World Blood Donor Day was introduced by the World Health Organisation three years ago on June 14, 2005.